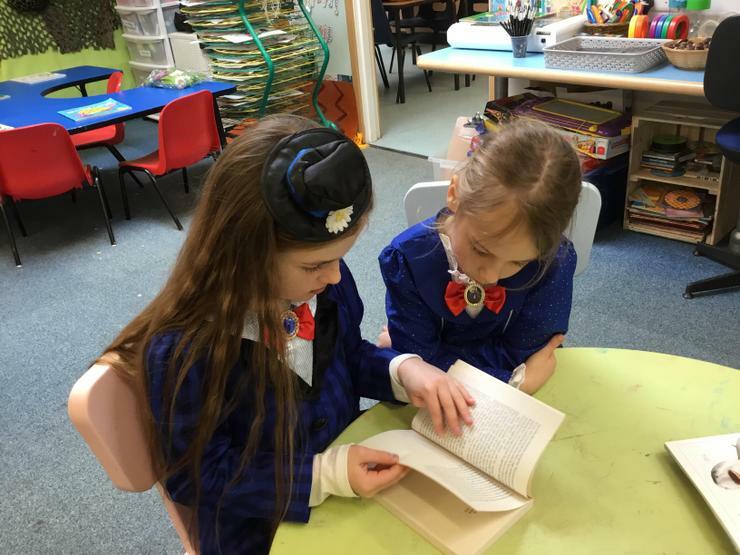 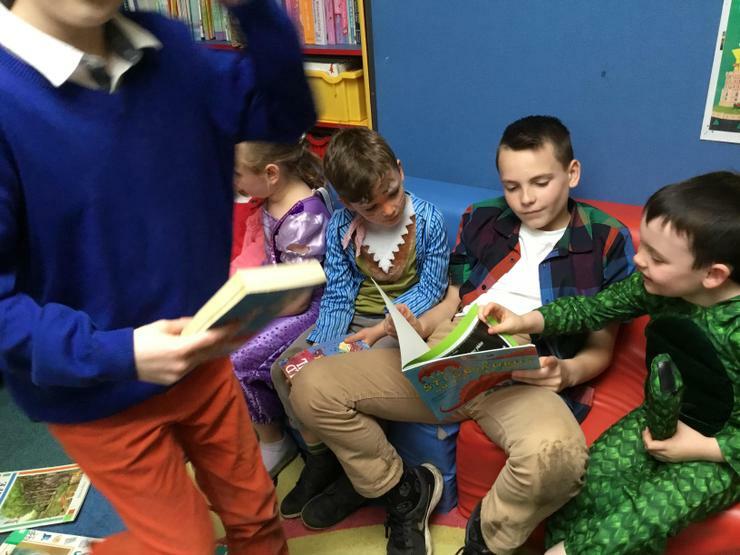 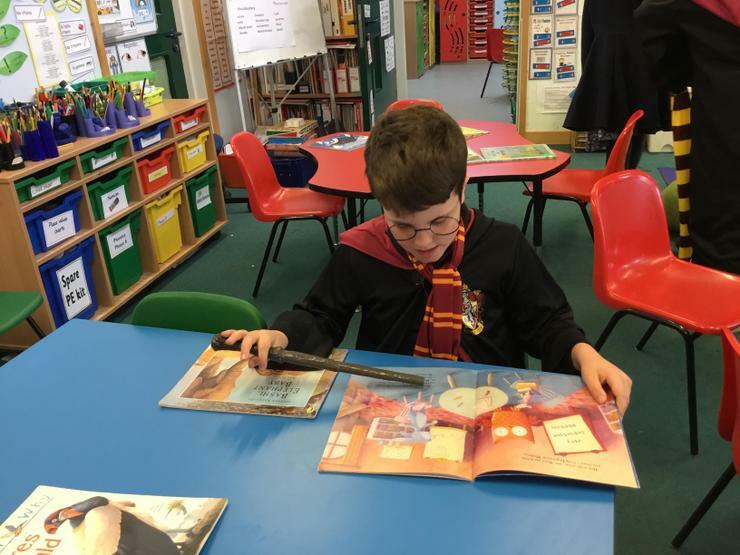 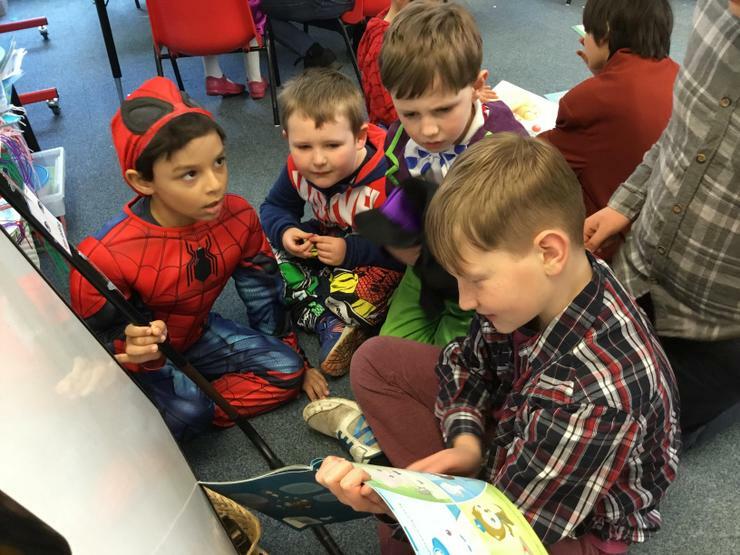 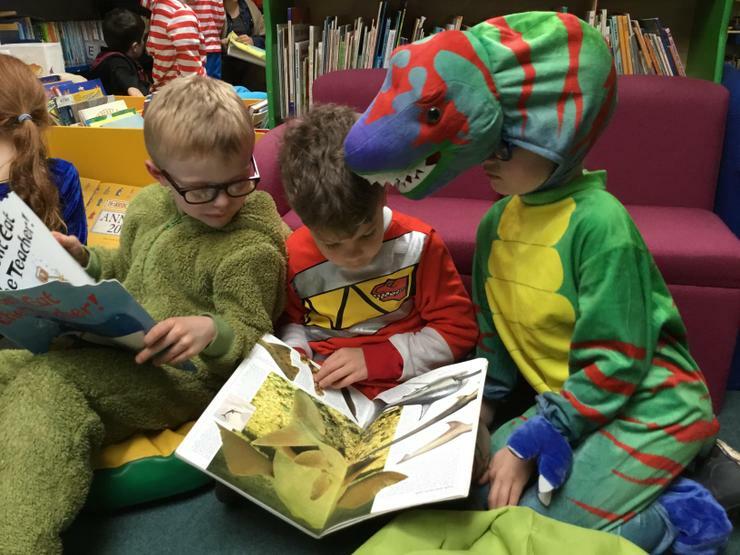 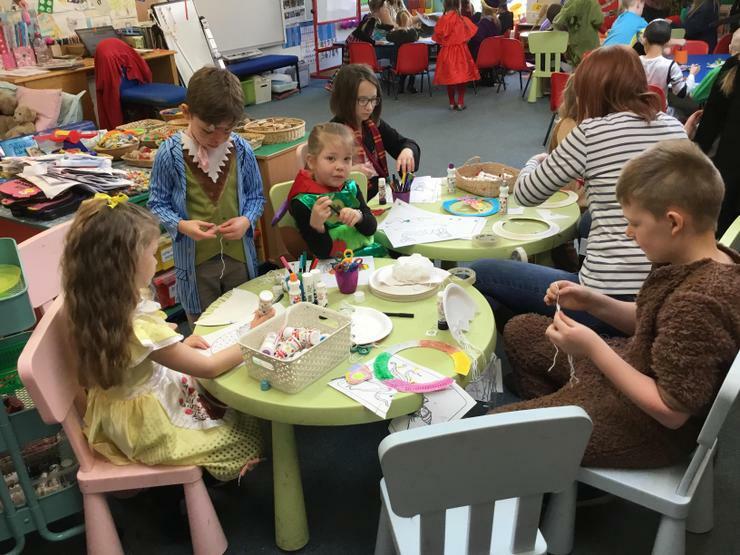 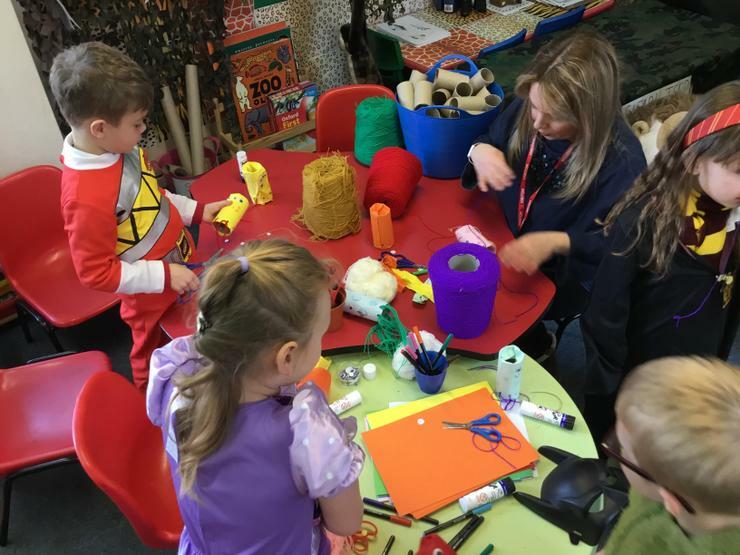 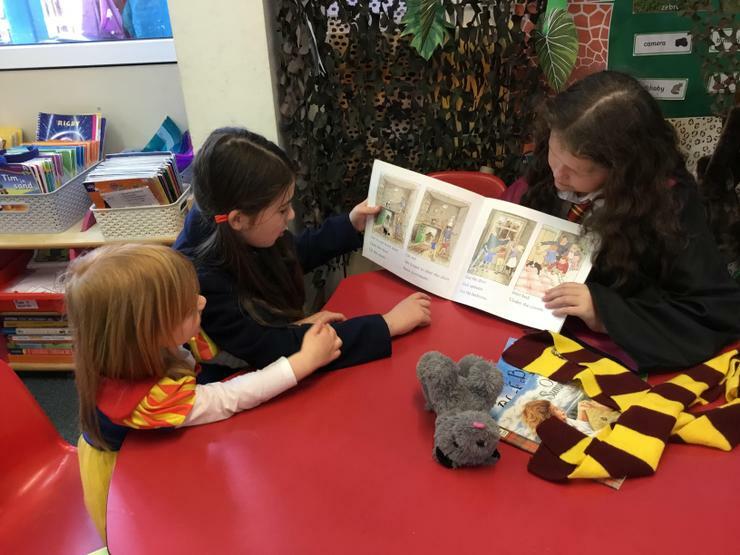 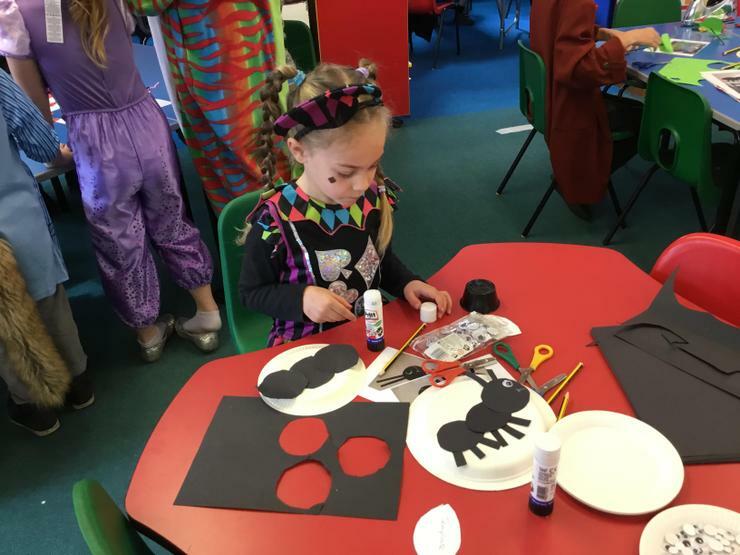 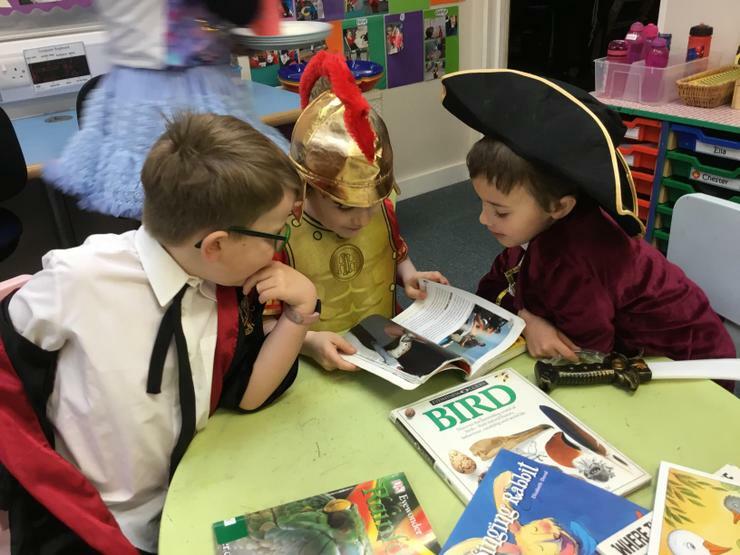 On Friday 8th March, the playground was filled with wonderful costumes as children arrived at school dressed as their favourite book characters. 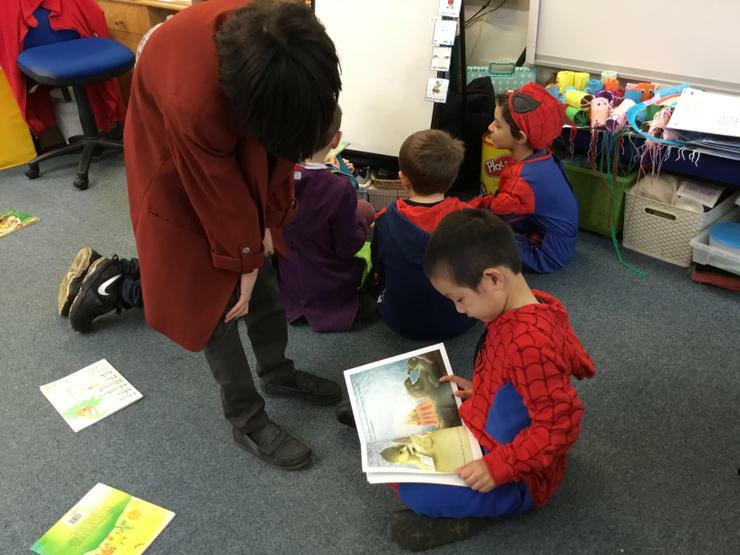 There were lots of wizards and witches, and animals and people from children's literature, past and present. 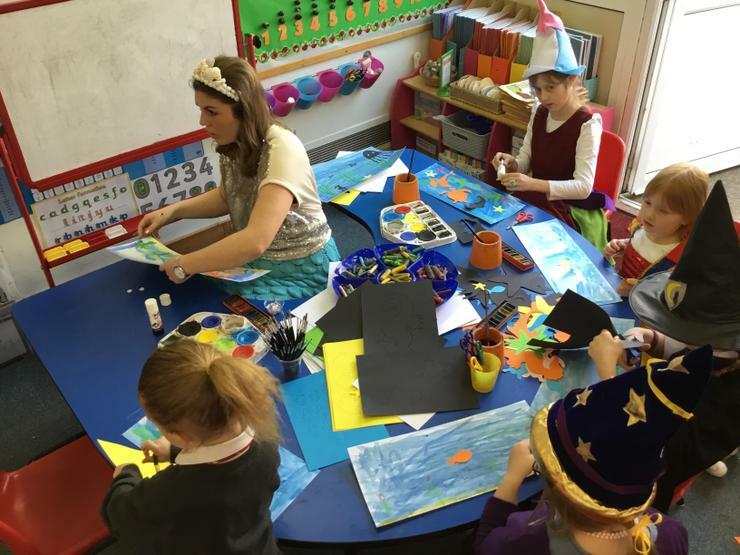 After our parade, children headed off to their first of their two workshops. 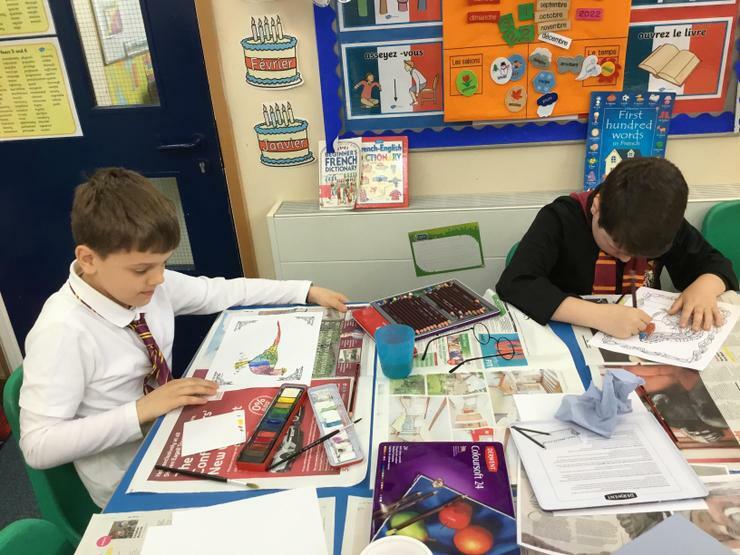 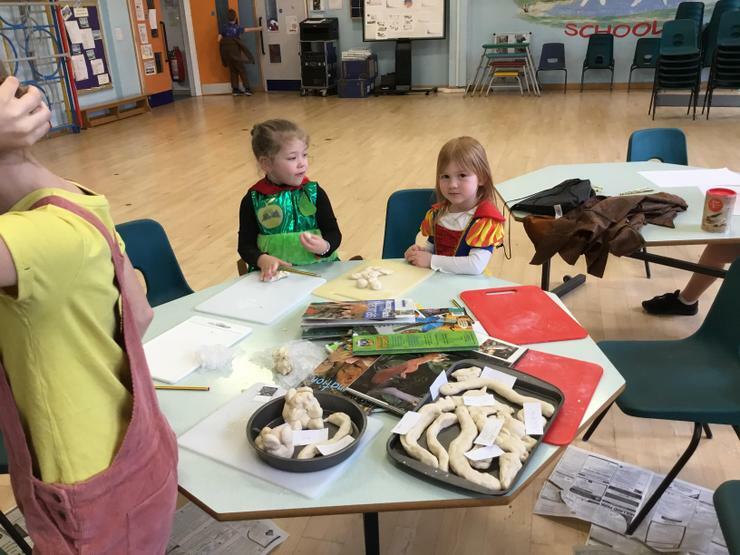 They could learn about "Lost words" from children's vocabulary and paint pictures with watercolours; make a compass by magnetising a needle; create a food chain with model animals; model a creature from playdough; or make a scene from under the sea. 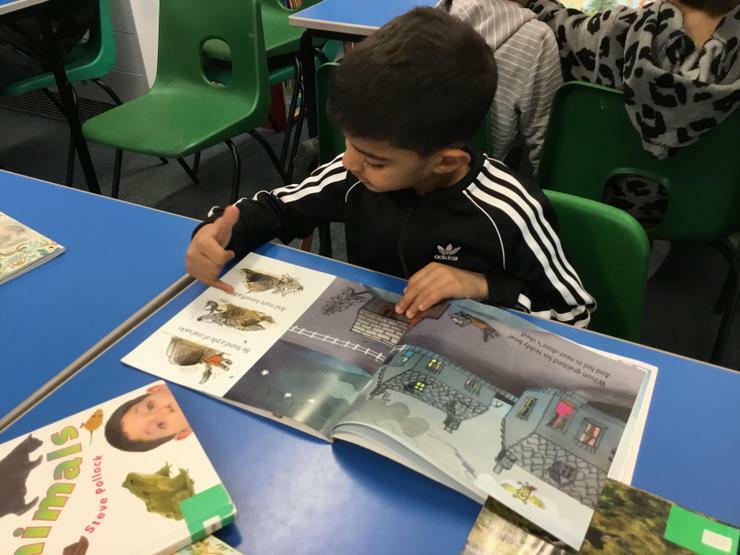 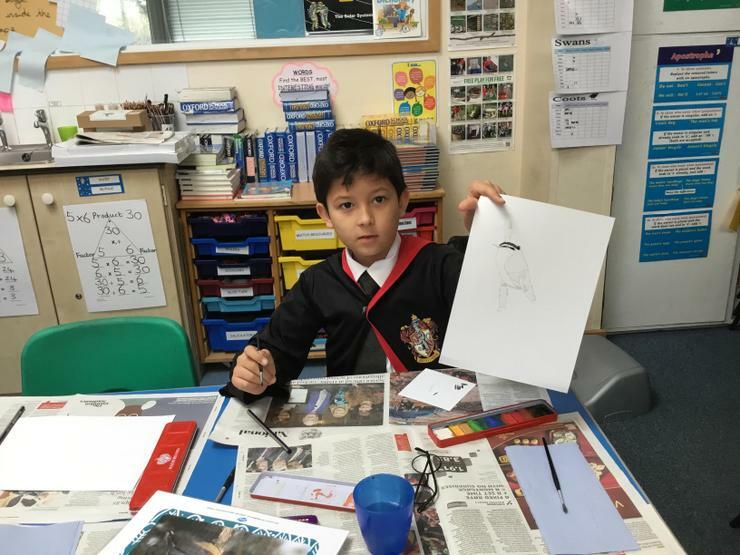 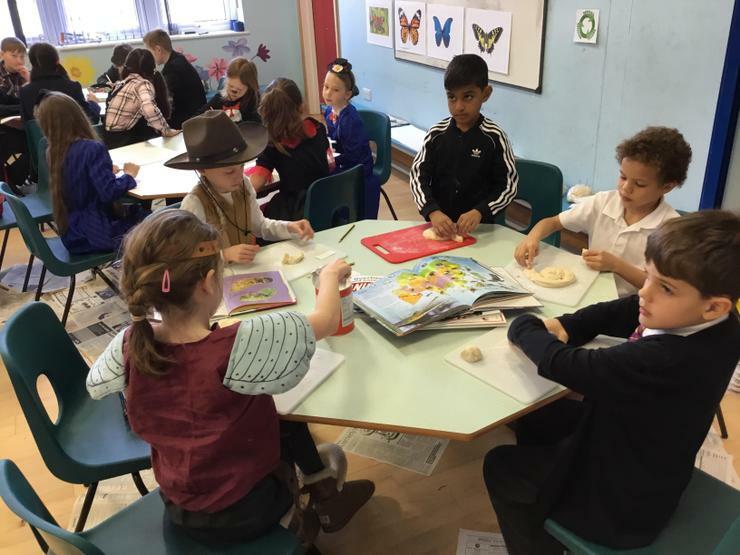 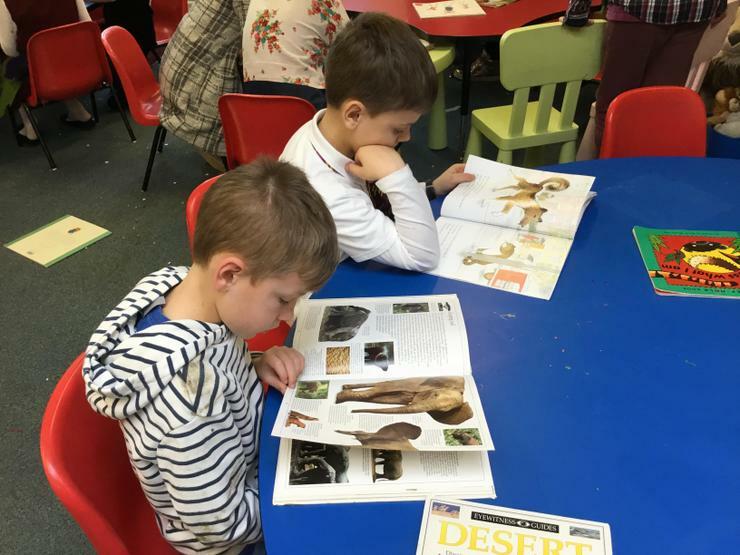 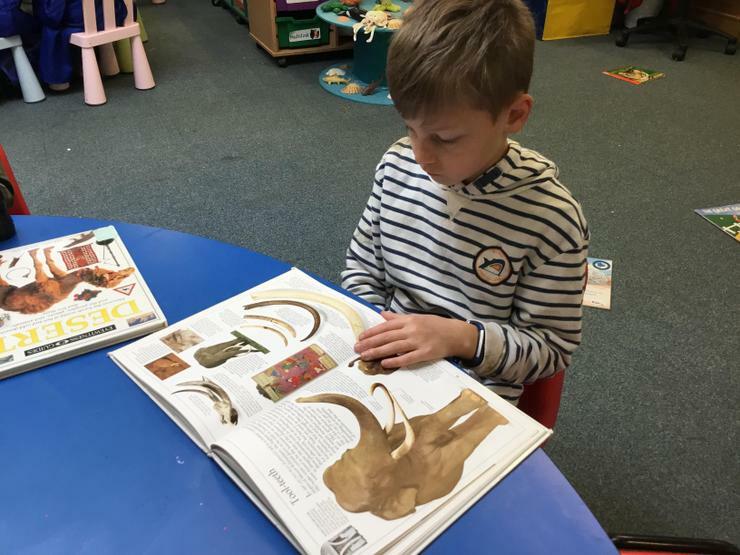 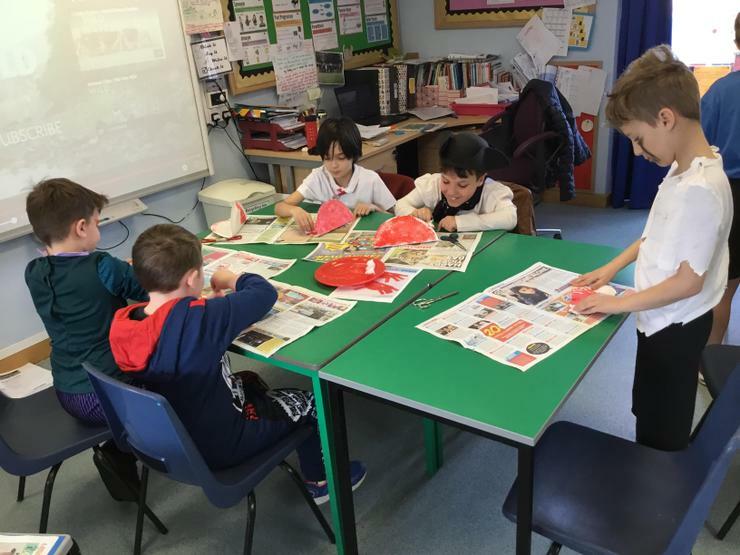 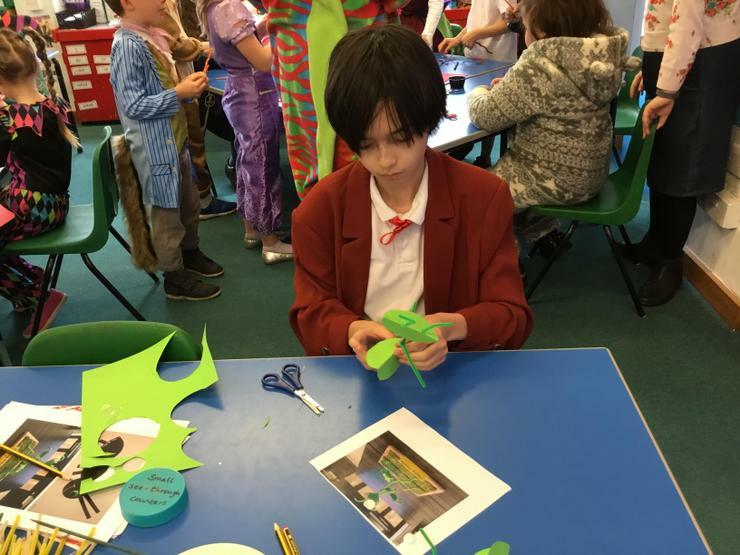 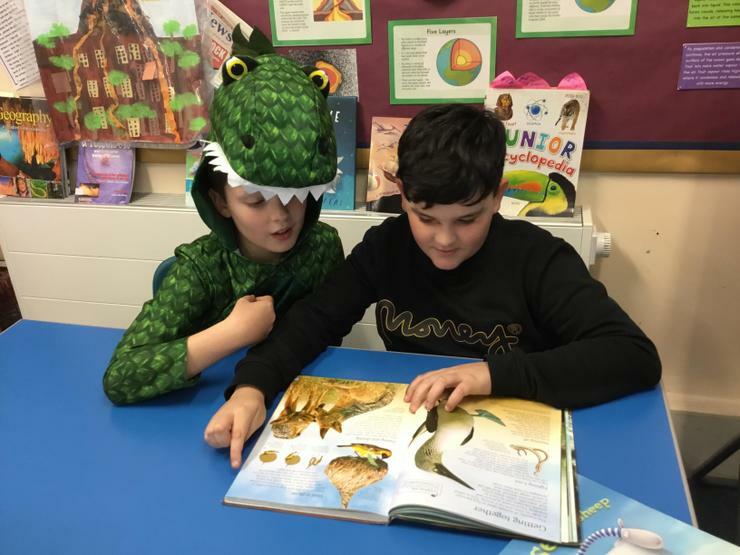 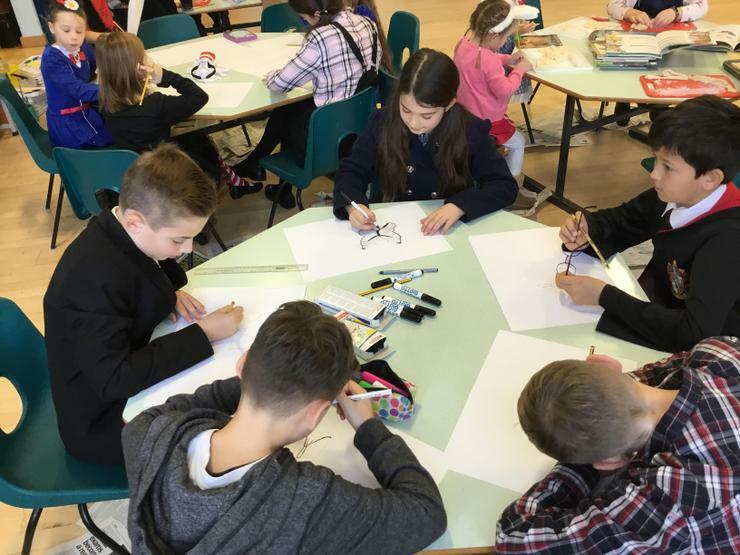 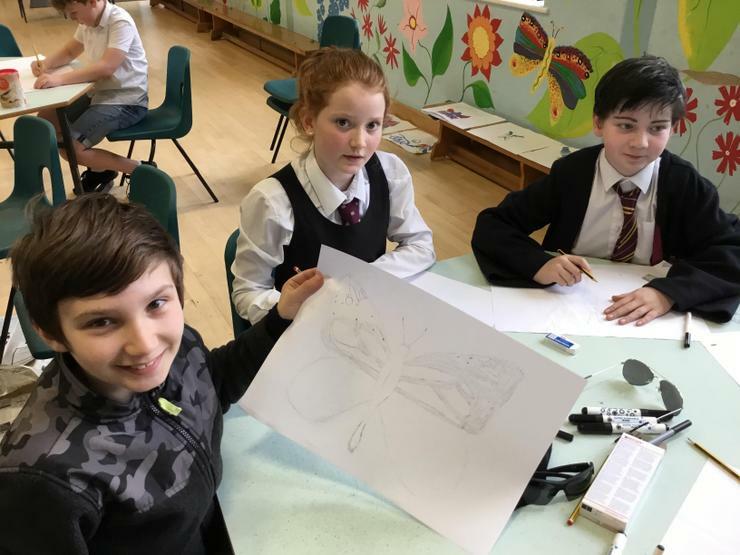 All the workshops were based on books with the theme of 'exploring the wild' and most were published within the last year or two, so that children got chance to extend their exposure to different literature. 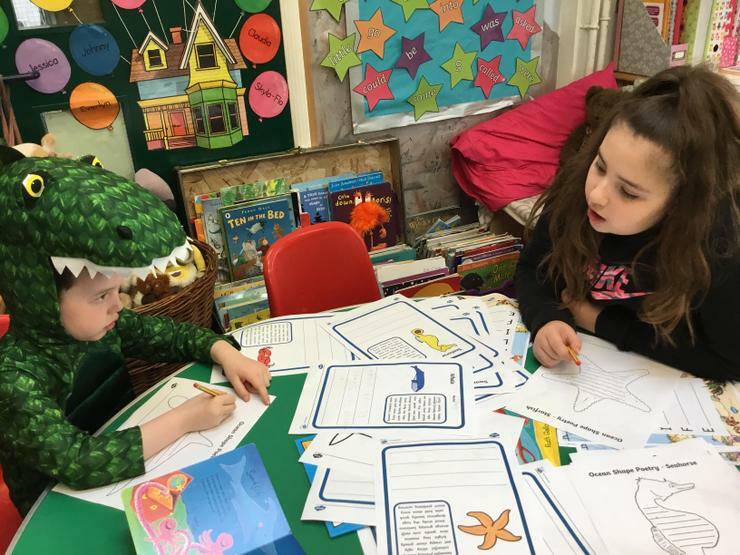 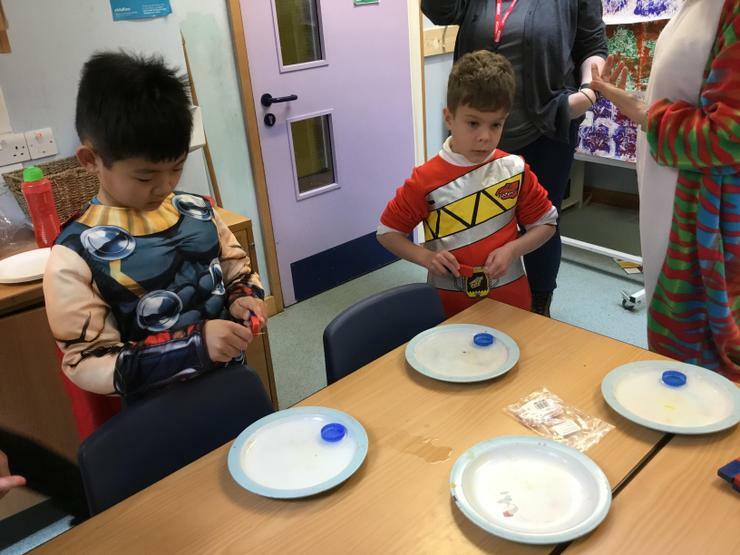 Children worked with others from different classes, which gave them opportunities to show responsibility by helping younger friends; we were also well-supported by parent helpers! 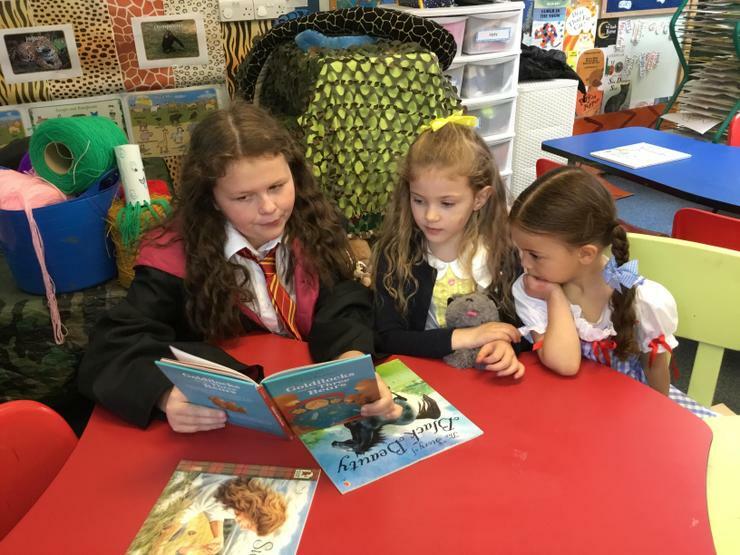 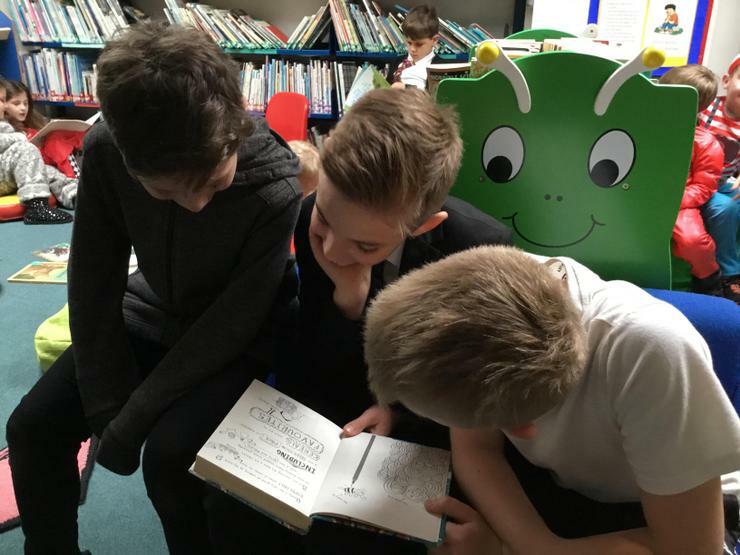 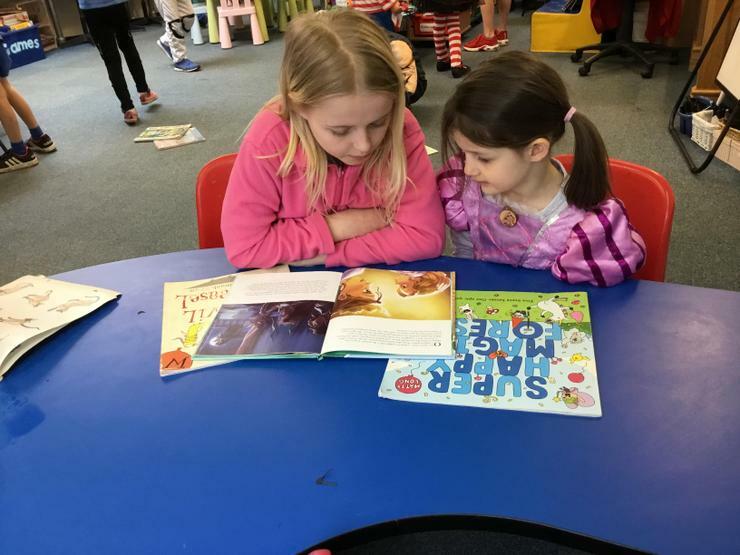 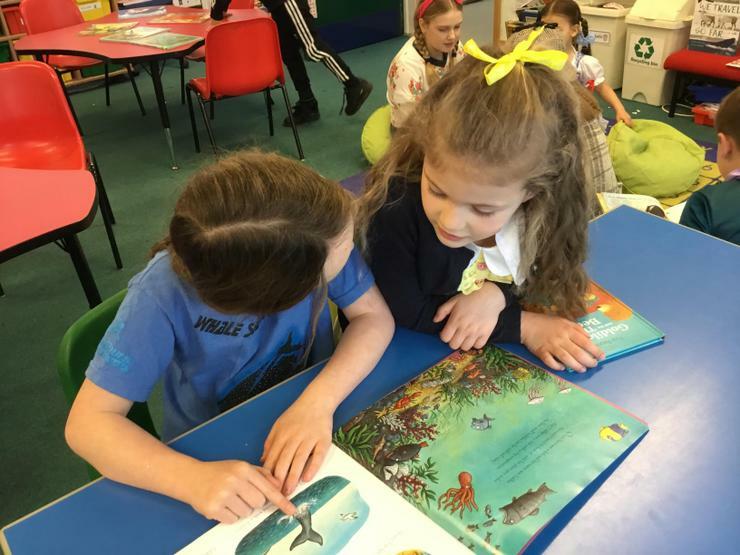 In the afternoon, everyone spent time in different classes around the school, reading and sharing books about animals and nature. 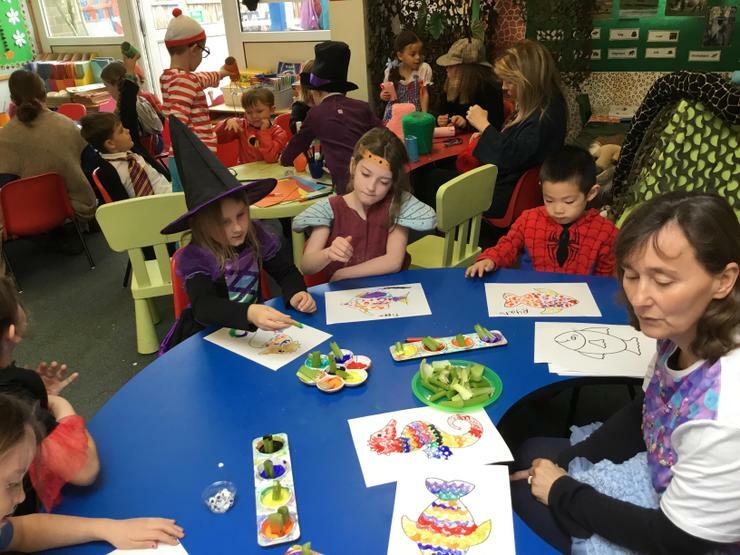 We had a great time - thanks to Mrs de Lancey-Wheeler for organising the day and to the staff and parents for supporting it!